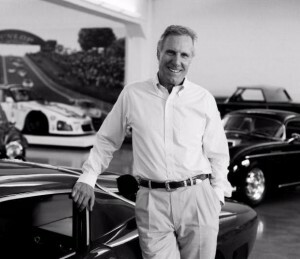 The ageless and forever handsome Bruce Meyer, whom I consider a friend and an ultimate car guy. Some news about an interesting series of events, grand Marshalled by a great friend of mine, that I though you might enjoy reading about. ATLANTA, GA, October 19, 2016 – The Classic Auto Show powered by Velocity announced today that Bruce Meyer, founding board member of the Petersen Automotive Museum and proprietor of one of the world’s most extraordinary car collections, will be the Grand Marshall of the inaugural Classic Auto Show, held in Los Angeles January 27-29, 2017. Bruce Meyer has made it his mission to collect cars with historic race wins and exceptional history and will be featuring some of his iconic private collection during the event. These treasures will be part of The Grand Boulevard, an area of the show showcasing automotive design and technology through the years with an assortment of the finest and rarest classic, muscle, historic and vintage cars the world has to offer. In addition to his automotive contribution, Bruce will be present on Friday, January 27, for the official ribbon cutting along with stars from Velocity’s biggest car shows: Mike Brewer, Chip Foose, Dave Kindig, Wayne Carini, Chris Jacobs and Mike Phillips. Based in Kennesaw, GA, and founded in 1995, Urban Expositions produces and manages a portfolio of 36 events. Urban serves nine industry sectors including Gift, Souvenir, Art, Aviation, Apparel, Halloween, Foodservice, Pet and Gaming. Urban also produces Airport Revenue News, a publication focused on the airport concession industry. Urban has offices in Shelton, CT and Boca Raton, FL, and is represented by employees in California, Colorado and Illinois. www.urban-expo.com.